Reading opens my eyes, my heart and my mind, giving me the opportunity to travel to diverse places, experience others' emotions and see the world from different points of view, all from the comfort of my armchair. If there was a bishop, my mother would have him to tea. Mrs Stratton looked at her husband's smile. It was lovely, and rather boyish, as if he held roses behind his back, or if not roses, something rarer, some genius hitherto unseen in this part of the country. 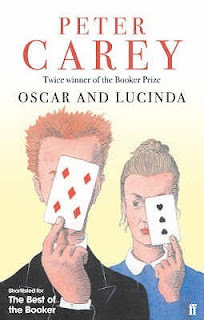 Peter Carey's Booker Prize winning novel imagines Australia's youth, before its dynamic passions became dangerous habits. It is also a startling and unusual love story. Oscar is a young English clergyman who has broken with his past and developed a disturbing talent for gambling. A country girl of singular ambition, Lucinda moves to Sydney, driven by dreams of self-reliance and the building of an industrial Utopia. Together this unlikely pair create and are created by the spectacle of mid-nineteenth century Australia. Peter Carey's visionary brilliance, and his capacity to delight and surprise, propel this story to its stunning conclusion. Hi Peppermint. Thanks for stopping by. Wishing you a great weekend. Thanks for stopping by, Elizabeth. Happy Hopping! Sounds like an interesting read! Happy weekend! I really like your book choice for the other two memes! Never heard of either the book or the author, but will add it to my TBR, as it looks very interesting indeed!! Thanks for stopping by, Maria. Peter Carey is a major literary figure here in Australia. I've read a few of his other works and liked them, so I look forward to getting stuck in to this one. 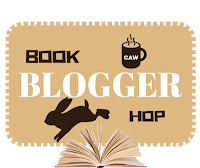 Yes so true and great answer on the blog hop question, thank you so much for stopping by my blog hop.